Free book promotion on Amazon 11/29/2018 - 12/3/2018! A born surgeon, Dylan resents having to down his orthopedic power tools for a six-month spell in Elderly Care. He thought that at least working with Lou would make his skiving easier; after all she’s always helped him out before. Sparks fly, and one night Lou gets what she has wanted for twelve long years. But Dylan was too drunk to remember the next day, so when he mistakenly believes that she’s put his career in jeopardy his vicious insults, publically made, cut Lou to the bone. It’s only after he loses Lou’s warm smiles, dry wit, boundless enthusiasm and energy from his life that he realizes the extent of his stupidity. 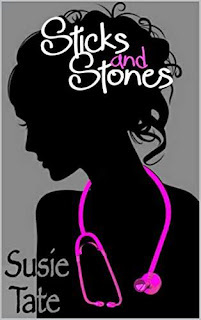 This book is a full-length, standalone, funny, feel-good, contemporary romance.